The ability to view a two-dimensional image on a page or computer screen, and then transform that image into something our minds can immediately recognise, is a neurological process that remains mysterious to scientists. 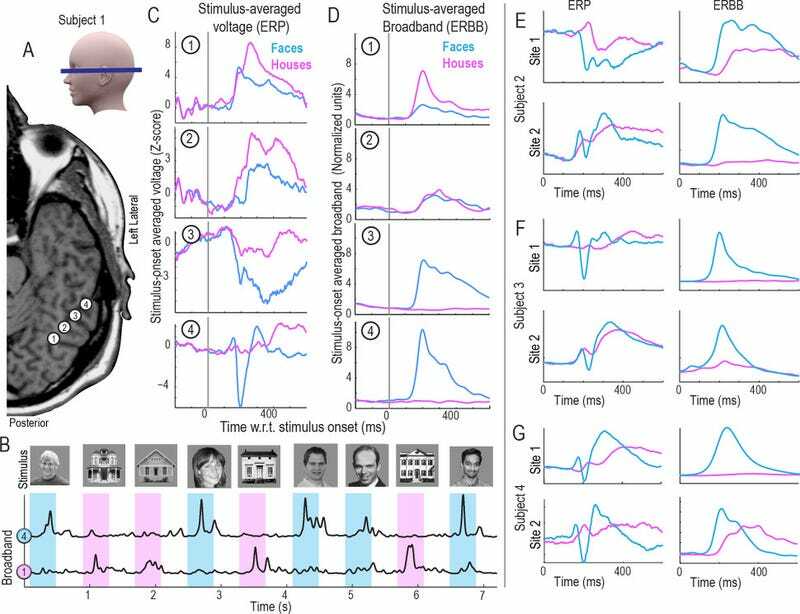 To learn more about how our brains perform this task—and to see if computers can collect and predict what a person is seeing in real time—a research team led by University of Washington neuroscientist Rajesh Rao and neurosurgeon Jeff Ojermann demonstrated that it’s possible to decode human brain signals at nearly the speed of perception. The details of their work can be found in a new paper in PLOS Computational Biology. The patients were shown a random sequence of pictures—images of human faces, houses, and blank grey screens—on computer monitors in brief 400 millisecond intervals. Their specific task was to watch for an image of an upside-down house.